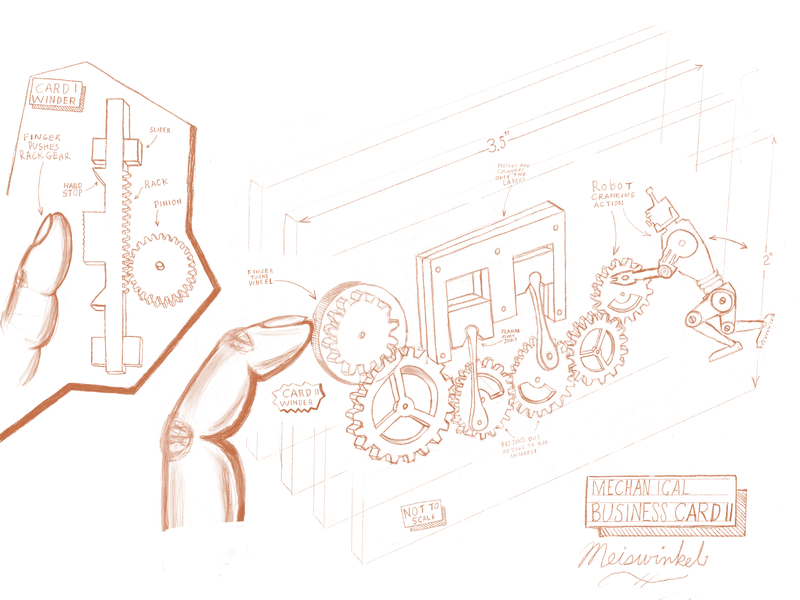 This is the ideation sketch of the second mechanical business card design. The main feature of interest is the moving pistons. 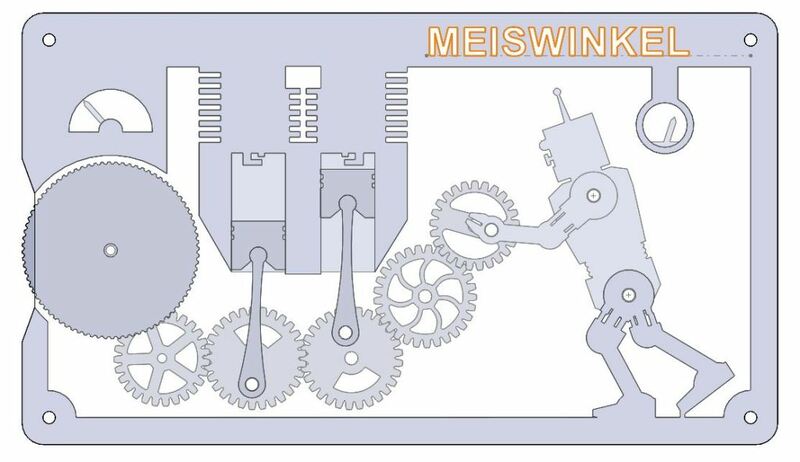 Newton the Robot is turning a crank as part of the action in this automaton. The scale will be the came business card size as the first model. I Expect to prototype in a week or so. Some of the design is from my candy machines… Not scaled, re-created.